Geoffrey Bell’s Hesitant Comrades is the first history of the policies, actions and attitudes of the British working class movement towards the Irish national revolution of 1916–21. Drawing principally on primary sources, Bell brings to light important incidents in British and Irish history, including how the leaders of British trade unions were complicit in Belfast loyalist sectarianism; the troubled nature of the Labour Party’s relations with its Irish community; and how the Bolsheviks criticized British Marxists over their inaction on Ireland. Bell also considers socialist debates on the compatibility of Irish nationalism with socialism and the contentious ‘Ulster question.’ He also discusses key figures such as British Labour Party leader Ramsey MacDonald and leading suffragette Sylvia Pankhurst. 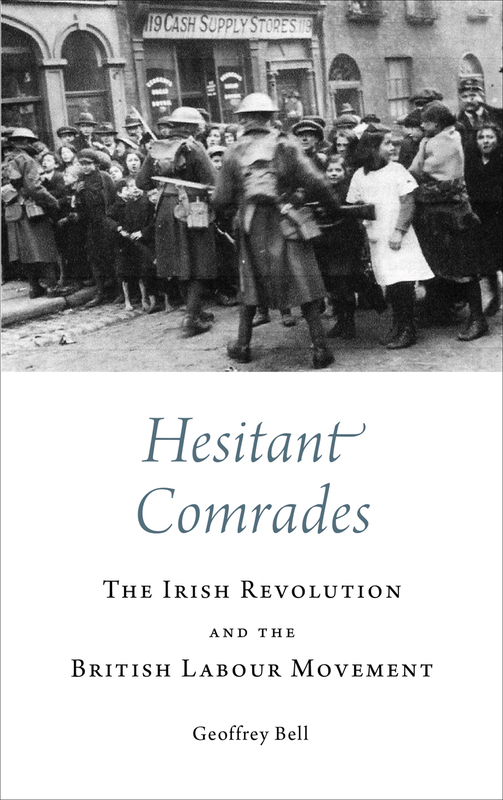 Based on in-depth research, with sources ranging from newly discovered socialist writings to reports of police spies, Hesitant Comrades is a scholarly, provocative, and highly engaging perspective on the fragile relationship between the British left and the Irish revolution. "Bell has written the definitive account of the response of the British labour movement to the Easter Rising and Irish War of Independence. He breaks considerable new ground, illuminating the attitudes taken up by the trade union and socialist movements. His work is a fine example of politically committed scholarship and makes an important contribution to both the histories of the Irish Revolution and of the British Left." "In this very well written and closely researched account, Bell’s main object of study is the inter-relationship between the social forces that brought change in Ireland and the remaking of the British working class and labour movement in the post-First World War period. The ambivalence of a variety of British trade unionists and socialists about developments in Ireland is thoroughly depicted, and the significances explored including their impact on the Irish in about Britain. This is very much a post-revisionist history of the Irish Revolution and its aftermath placed in the context of the interconnected and shared histories between Britain and Ireland."